Not long ago we reported that Crunchyroll had provided some new changes for their Crunchyroll Manga service, with various titles now going into the vault as they have finished serialisation while newer titles would be made simulpub only (i.e. older chapters head to the vault after a certain amount of time). Sumire Suō is 15 years old. She has passion for soccer, but can’t seem to grasp victory… After having a gloomy life as a middle school student, will a single moment as a high school student make her heart dance!? 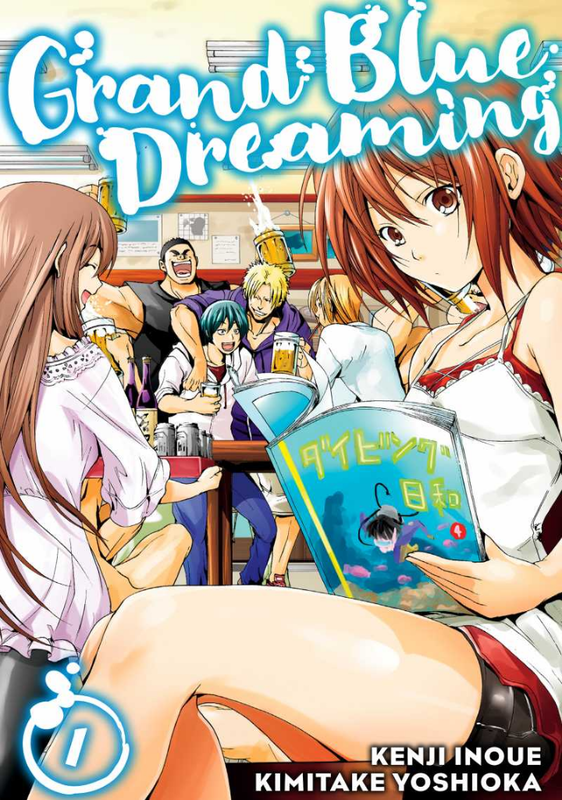 After moving out on his own to a seaside town, Iori Kitahara makes a college debut he never anticipated. A new chapter of his life unfolds, full of diving with beautiful girls and shenanigans with a gaggle of lovable bastards! The stage is Sapporo, Hokkaido. One night, our heroine, Minare Koda, spills her heartbroken woes to a radio station worker she meets while out drinking one night. The next day, she hears a recording of her pitiful grumbling being played live over the air. Minare storms into the station in a rage, only to then be duped by the station director into doing an impromptu talk show explaining her harsh dialogue. With just one recording, the many eccentric facets of Minare’s life begin to pull every which direction as she falls ever deeper into the world of radio. Starting 28th February there will be new changes made for a wide number of Kodansha Comic manga titles. Prepare to save a lot of time if you want to finish a number of them!